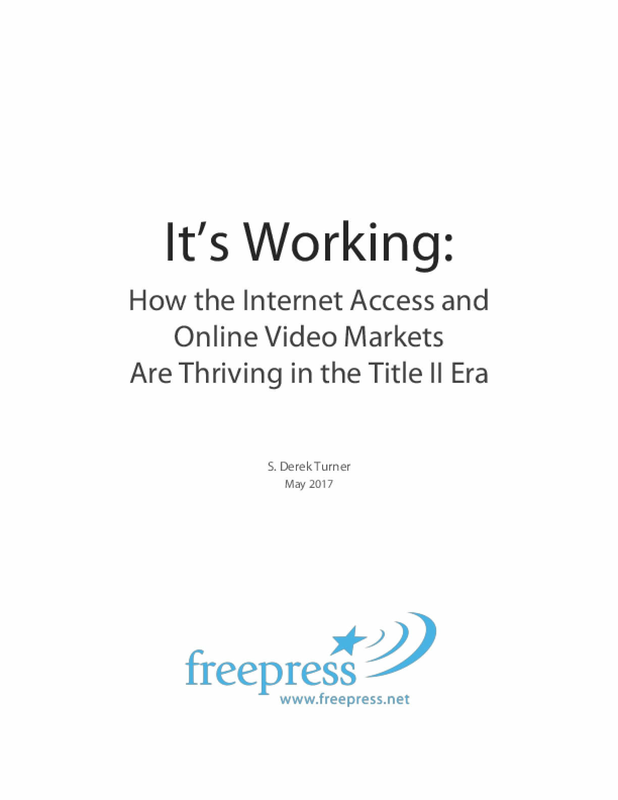 Financial and marketplace evidence demonstrates that the FCC's 2015 Open Internet Order is an absolute success, accomplishing its stated goal of preserving and promoting the online ecosystem's "virtuous cycle of investment." ISP investments accelerated following the vote (e.g., aggregate capital expenditures by publicly traded ISPs have risen by more than 5 percent during the two-year period since the FCC's February 2015 vote; investments in core network technology at cable companies during that same time period are up by more than 48 percent). Investments in the edge, including those by online video providers and edge computing firms, are up as well (e.g., capital expenditures by firms in the U.S. data-processing sector increased 26 percent in the year following the FCC's order while there was just 4 percent growth in the year prior). More new U.S. "over-the-top" video services launched in the two years following the vote than in the seven years prior. Furthermore, the certainty the FCC's action created spurred the entry of numerous pay-TV full replacement providers, with vertical carriers such as AT&T now distributing (and others poised to distribute) their pay- TV services via other ISPs' last mile networks. In sum, the 2015 Open Internet Order and accompanying legal classification decision settled the prior uncertainty about open, nondiscriminatory broadband telecom service access. What followed that decision was a historic period of U.S. investment and innovation. Copyright 2017 by Free Press. All rights reserved.